Ok, so this isn’t my family recipe. I’ve never made this dish nor do I know of anyone in my family specifically making this dish. However, I was intrigued by this circa 1942 “Victory Recipe” found in a New York state newspaper. I have to admit, I’m not a huge fan of fish and not at all likely to ever try this out, but I this advertisement caught my eye because it was a wartime recipe advertised by McCormick that incorporates the company’s spices. Although the ingredient list is fairly long, the only items that are not spices are rice, canned peas, tomato consomme, evaporated milk, and the codfish. Sounds like it would have been an easy, economical dish—as promised by the ad. This recipe caught my eye, because it’s labeled “Lillians’ Recipe”. 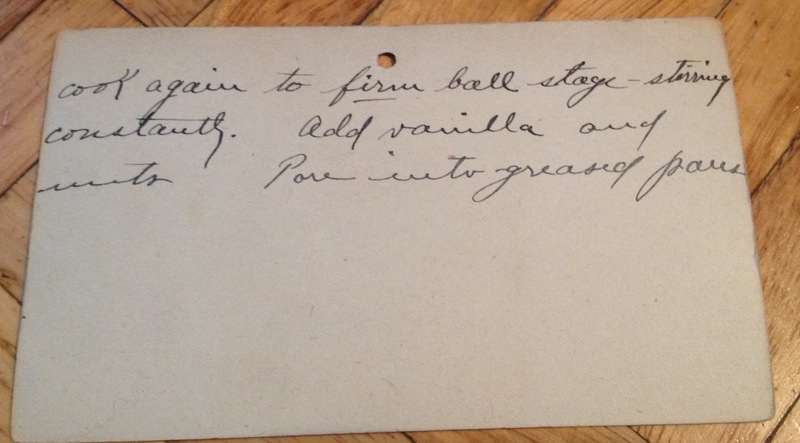 This must have come from my grandmother’s aunt, Lillian Pearl (Hess) Adams (1882-1962). 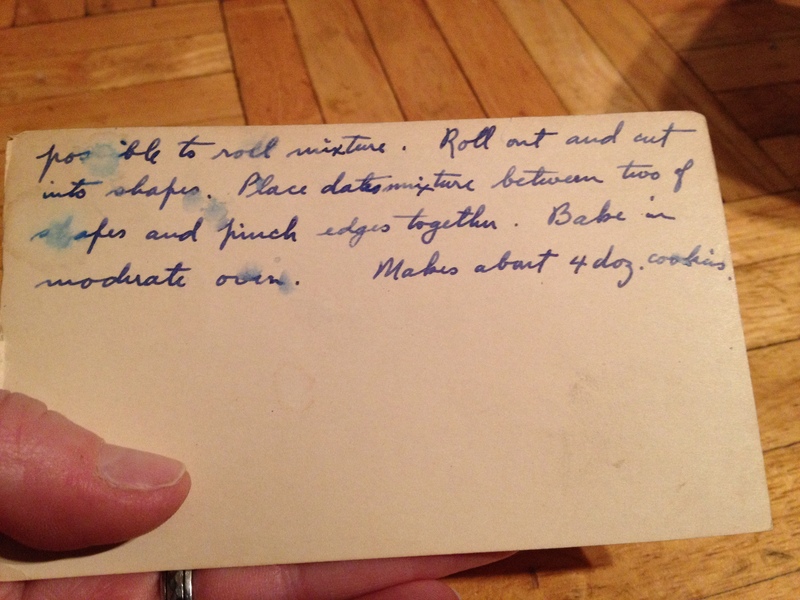 I’m not sure who’s handwriting this is, but I do love these old recipes. 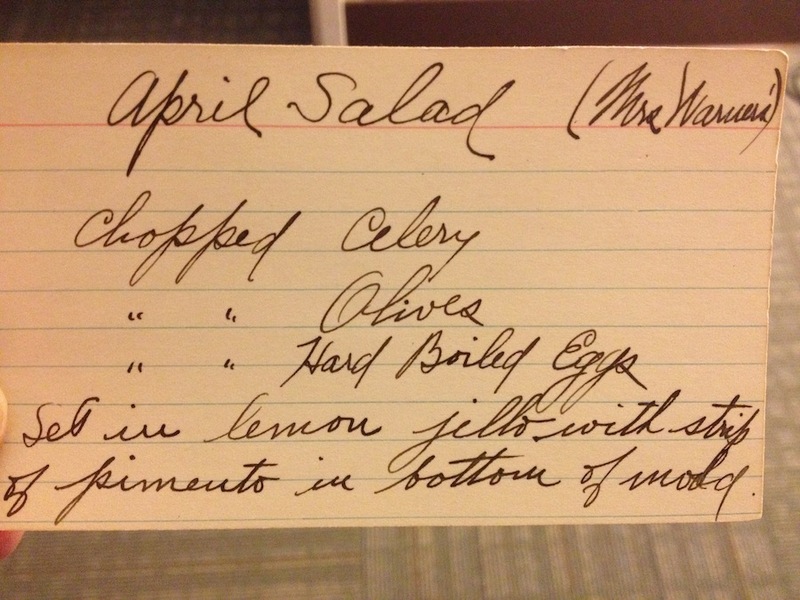 Another find from the family recipe box, this time for a dish called “April Salad”. I love that none of the ingredients include an idea of how much to use, so I guess the idea was to just eyeball it. Also, I picked this one out because it’s labelled as “Mrs. Warner’s”. 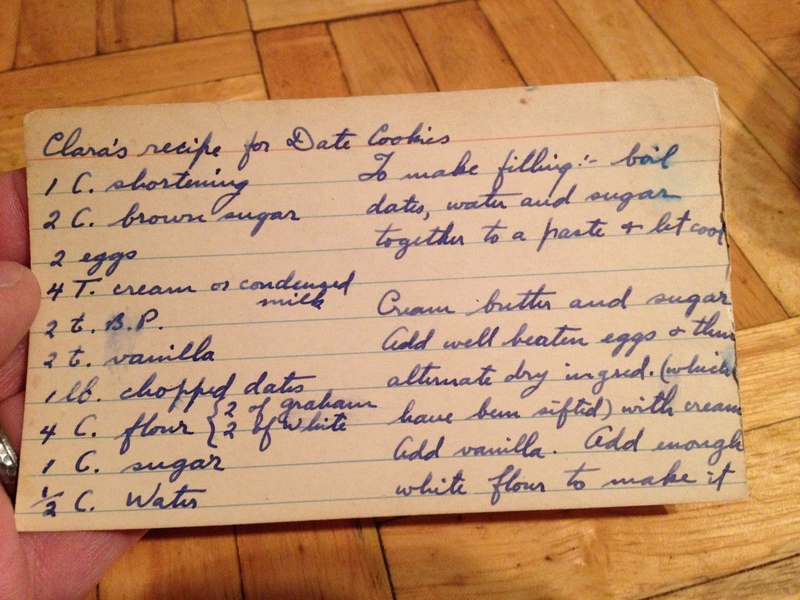 Since this recipe box belonged to my great-grandmother, Beatrice Felver Warner, I’m assuming the Mrs. Warner in this case would have been her mother-in-law, Minnie Manley Warner. 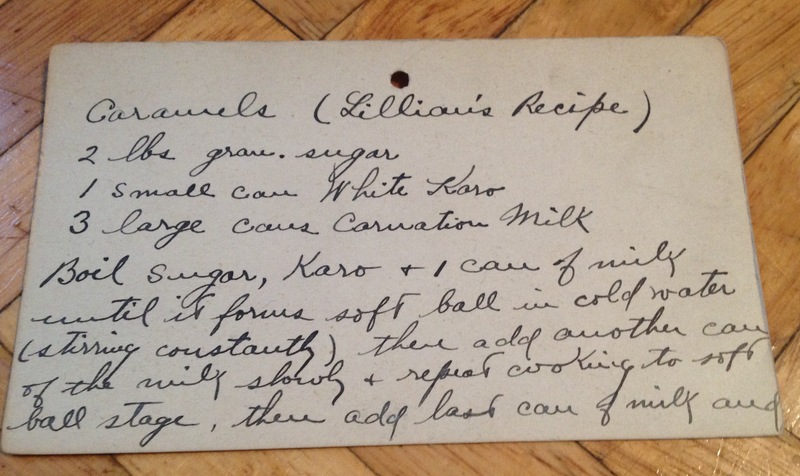 Minnie Manley Warner died in 1916, so I wondered if this could really be her recipe since it calls for lemon jello. Some quick research tells me Jell-O has been around since before the turn of the century and began to gain popularity between 1902 and 1904. 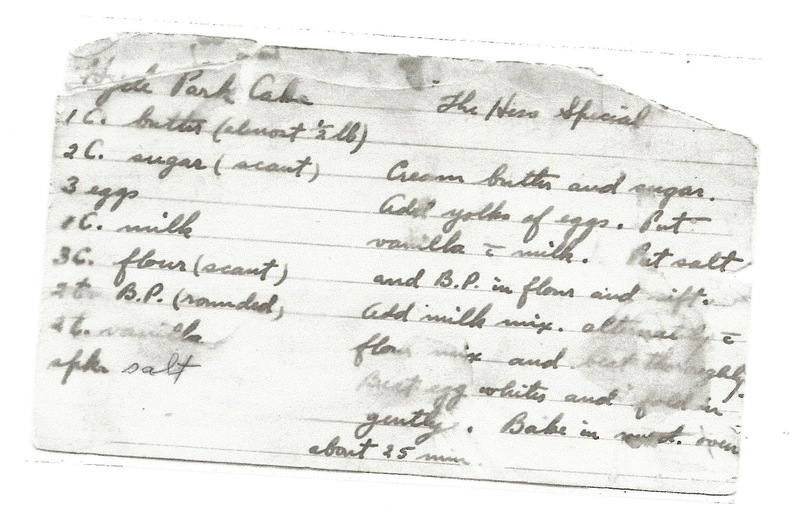 This recipe, marked “Grandma Warner”, would have been from the kitchen of Beatrice (Felver) Warner or Minnie (Manley) Warner, depending on who’s perspective “grandma” was from. This caught my eye because it’s called “Higdom”, something I had never heard of before. It seems to be a spiced relish or pickle with green tomatoes. As I googled Higdom, I found a number of folks talking about this, especially in relation to Ohio, Pennsylvania, and New York. I’m not sure if it’s entirely a regional thing or when it first showed up, but green tomatoes and/or cabbage seem to be the main veggie ingredient. I’m intrigued to try this at some point, though I’m not sure if “1 red pepper (or 6 green peppers)” refers to a bell pepper, hot pepper, etc. 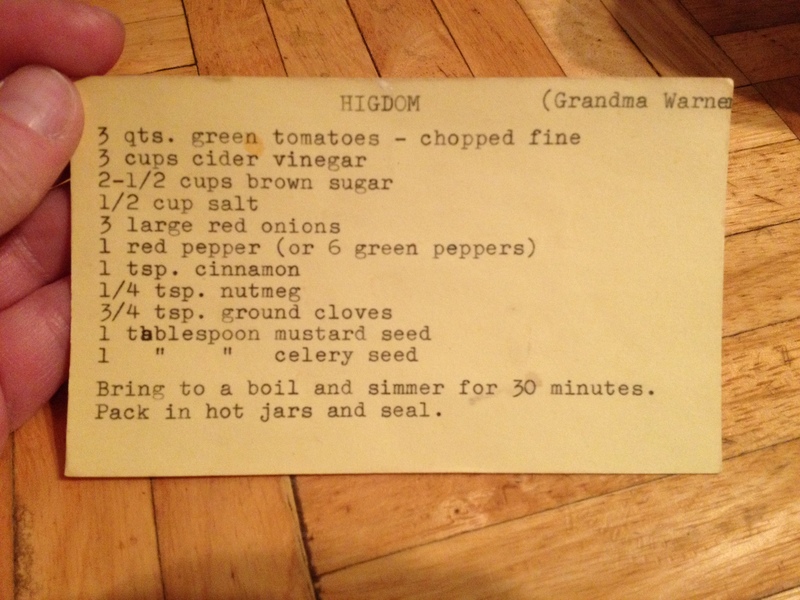 A gem from the Thanksgiving raid of my grandmother’s recipe box. I have to imagine “Clara “was Clara (Rawlings) Felver, second wife of Hiram Felver. She lived out her last few years with my great-grandmother (Clara’s step-daughter), Beatrice (Felver) Warner, and her family. 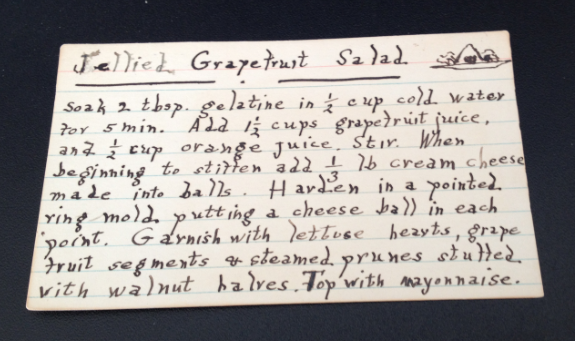 I have no way of knowing who’s handwriting this is—the index card doesn’t seem old enough to be written by Clara, but it gives a glimpse of a recipe special to Clara and her family.